Mesa Hive, a multimedia Installation that highlights the process and construction of the Indianapolis Bee Sanctuary. 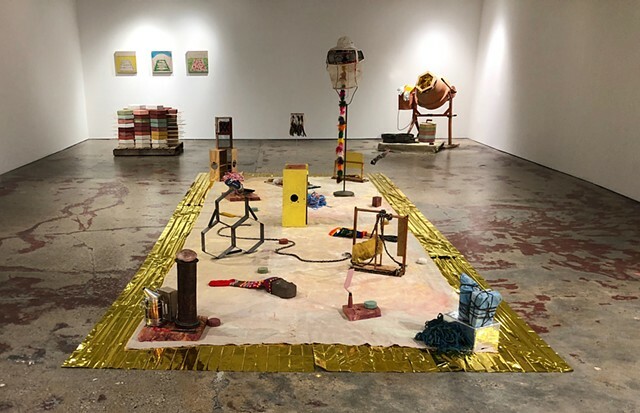 The installation is presented on a large Mylar survival blanket with carefully arranged objects and artifacts created and harvested during the construction process. 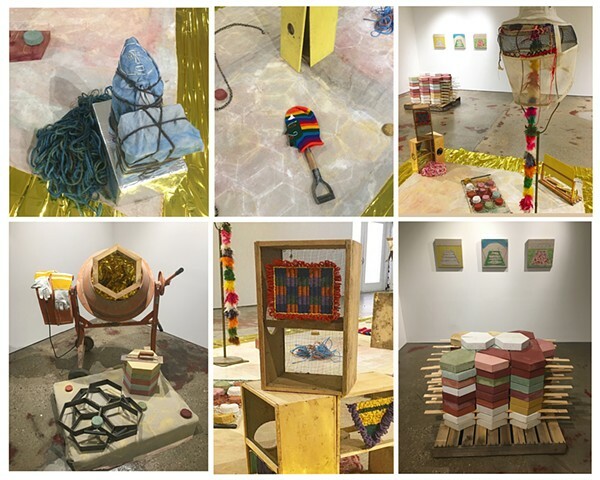 These objects are juxtaposed with new paintings made by Chávez during the residency. The survival blanket is inspired by Chávez’s Peruvian heritage. It references Mesa, a multicolored bundle containing various sacred objects used for healing in Andean shamanic rituals typically associated with a Huaca, a monument or natural location that represents something revered. The exhibition also includes photo and video documentation of TeenWorks, Chávez, and Big Car artists working on the sanctuary. Documentation includes preparing over 300 hexagon concrete pavers and beekeeping and gardening activities in partnership with Bee Public and Solful Gardens. Mesa Hive is curated by Shauta Marsh.